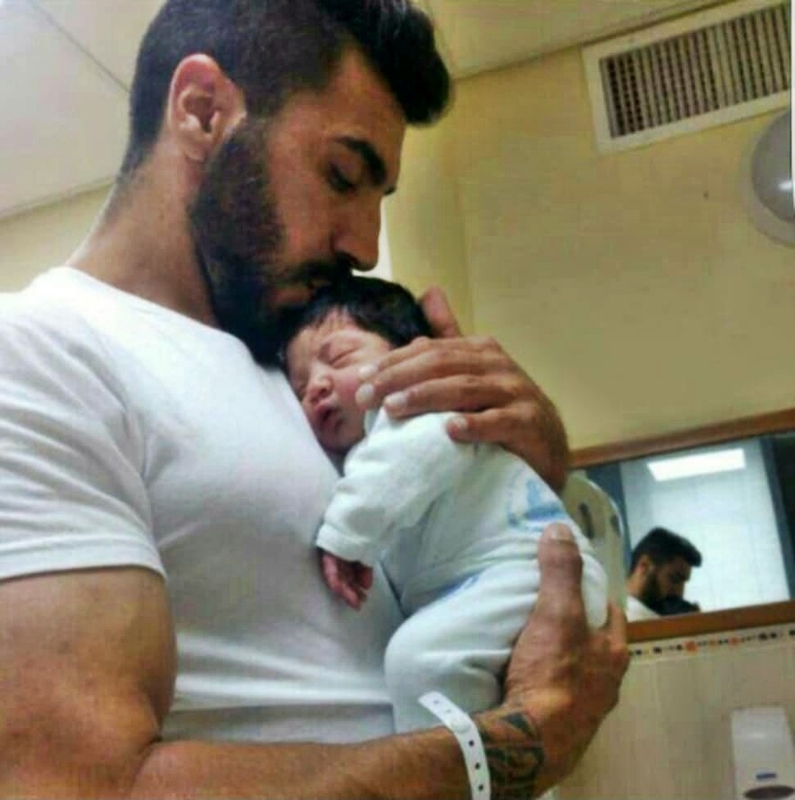 Friday in Jerusalem, is pictured with his newborn son, Ramos. Jerusalem, Israel — July 16, 2017 … Three Islamic terrorists assassinated two Israeli border policeman at the entrance of Jerusalem’s Old City. Israeli police Master Sgt. Haiel Sitawe is seen above cradling his 3-week-old son, Ramos. Sitawe, 30, of the Druze town of Maghar in northern Israel, also is survived by his wife, Irin, his parents and three brothers. He served in the Israel Border Police (MAGAV) as part of his mandatory military service and joined the Israeli police force in 2012, serving in the unit responsible for securing Jerusalem’s Temple Mount. His mission was to provide security to people of all religions to pray freely in Jerusalem. The other police officer who was murdered was 22-year-old Kamil Shnaan, from the Druze village of Hurfeish, also in northern Israel. Shnaan, who joined the police right after high school, decided to stay on the force seven months ago, signing on as a career officer. He was the youngest son of former Israeli Labor Party Knesset member Shachiv Shnaan. The officer’s engagement party to his girlfriend was to be held next week. Security camera footage showed the Islamic terrorists, armed with automatic weapons and knives, emerging to attack from within the sacred compound in the Old City of Jerusalem that Jews revere as the Temple Mount and Muslims as the Noble Sanctuary. Police officers pursued the terrorists, who fled back inside the compound and exchanged fire; all three terrorists were killed. Shin Bet, the Israeli internal security service, identified the terrorists as residents of Umm el-Fahm, a large Arab town in central Israel. “This was a tough morning for the police. We have two people killed, officers, who paid the dearest price in this battle,” Israel Police Commissioner Roni Alsheich said. Israeli officials offered support for the Druze religious sect community of Israel. Netanyahu and Israeli security organizations decided to open the Temple Mount to worshippers, visitors and tourists on Sunday, but Palestinians demanded that they would not be subject to security checks. Israeli border police arrested those who were inciting riots near the Old City. The weapons which were used to murder the two Israeli policemen on Friday had been smuggled into the Temple Mount while there were no metal detectors. Former Israel Defense Forces Gen. Noam Tibon wrote in a tweet that he “salutes Druze soldiers,” having seen their “great contribution to the defense of Israel during my long years in the IDF. “I embrace the Shnaan and Sitawe families on the loss of their sons,” he added. Israeli police opened Jerusalem’s gates to allow Islamic worshippers to enter through the newly erected metal detectors. Police said some worshippers refused to go through them and knelt to pray outside instead. But despite concerns that the new measures could slow movement and spark tensions, police said they appeared to be working fine and that 200 people had already passed through. “We cannot allow for agents of murder, who desecrate the name of God, to drag us into a bloody war, and we will deal with a heavy hand against all the arms of terror, and its perpetrators,” said Israeli President Reuven Rivlin. “This is another absurd and irrelevant UNESCO decision, which serves only the enemies of history and truth. The UNESCO decision is an overt attack on Judaism and Christianity. If the Jews did not establish and rule Jerusalem, Judea and Samaria – then Christ never existed. “The number of countries who support this absurd UNESCO resolution is getting smaller,” said Prime Minister Netanyahu. “With a determined effort, it will be possible to whittle that number down further, “because there is no need for these types of votes in the UN,” Netanyahu said. 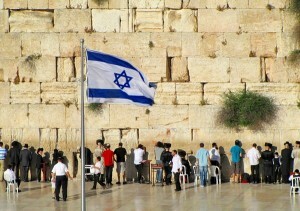 Netanyahu said there was no nation in the world to whom Jerusalem was more holy than to the Jewish people. The US has come out swinging against UNESCO’s lies and distortions. “The Tomb of the Patriarchs, which is sacred to three faiths, is under no immediate threat. Such a designation risks undermining the seriousness such an assessment by UNESCO should have,” Haley said. She issued the statement in a letter she addressed both to UN Secretary-General Antonio Guterres and UNESCO Director-General Irina Bokova. Israeli Ambassador to the UN Danny Danon: “Nothing is more disgraceful than UNESCO declaring the world’s only Jewish state the ‘occupier’ of the Western Wall and Jerusalem’s Old City. Yesterday, I toured the City of David and the Old City with UN ambassadors from around the world and explained the deep and ancient connection between the Jewish people and the holiest sites of our nation. No faux ‘heritage committee’ can sever the bonds between our people and Jerusalem,” Danon said.